What you want from your chiropractic care. The system of care your chiropractor is using. A quick review on why people choose chiropractic care. As a form of maintenance care in order to prevent pain, illness, and injury before it happens, or at least minimize its effects. As a natural part of spinal hygiene in order to keep the body and spine in balance for the everyday needs of life, and ultimately for life’s full expression. Now we’re going to handle the second part: how the system of care your chiropractor is using affects the the number of adjustments you receive. Some people think that if you’ve visited one chiropractor, then you’ve visited them all. In reality, chiropractic care and the delivery of the chiropractic adjustment is its own art form. 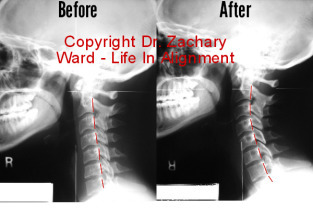 There are multiple ways to adjust the spine, and multiple ways to figure out if that adjustment was successful or not. How each chiropractor does it depends on their personal style, clinical experience, where they were educated, and ultimately, how they think about the spine. Two chiropractic ways of looking at the spine. Although this is probably being a little too simple, you can group most chiropractors into two different groups. In our Auburn Hills chiropractic office, we belong in the second group. We say that in order to change the spinal column for the better over the long term, it has to be balanced first. After all, there’s no sense in moving a joint into better alignment, if a lack of balance across the whole spine is going to just “pull it back out” again. And what has to be balanced, exactly? The head has to be balanced with the neck. Because of how the spine is put together, a head and neck that are out of balance with each other create incredible tension up and down the spine, and even on the tissues of the spinal cord itself. As a NUCCA upper cervical chiropractic office, we spend a great majority of our time working to adjust and restore this precious balance between the head and neck, because this balance will affect the balance of the rest of the spine. Because we look at the spine from the perspective of “balance first” and not “joint alignment first” we tend to make fewer chiropractic adjustments than other chiropractors do. We improve the balance, and let the body’s intelligence move the spine for itself, which it does, often with remarkable speed. The emphasis in our system is getting you to hold your alignment and balance, rather than on repeat adjustments. Our different way of looking at the spine means a different kind of chiropractic care for your body. Which in many cases, means fewer chiropractic adjustments than at other chiropractic offices. So, how many chiropractic adjustments do you really need? It depends. It ultimately depends on what you want from your care, and how your chiropractor looks at the spine. Chiropractic care reduces health care costs by how much? !